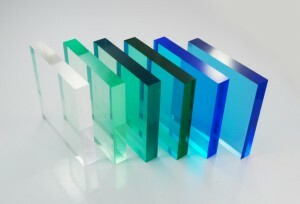 POLYCASA XT is extruded, unreinforced acrylic glass. It is characterized by excellent transparency, good mechanical properties, and is resistant to UV radiation and changing weather conditions. Colorless sheets have a total light transmission of 92%. It is used primarily for transparent acoustic panels. All POLYCASA XT sheets are available in the following standard colors. Colors remain unchanged regardless of the sheets’ thickness. On request, any given color can be produced.